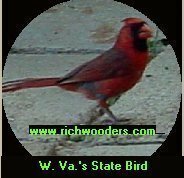 Facts about West Virginia, Nicholas County and Richwood. The Summersville Dam, second-largest earthern dam east of the Mississippi River. The Average annual precipitation, 42.53"
is the only state that lies completely within the Mountains and valleys of the Appalachian region. West Virginia Mountaineers wins the 2006 Sugar Bowl Championship . West Virginia Mountaineers beat the University of Georgia Bulldogs 38 to 35 to win the 2006 Sugar Bowl Championship. West Virginia was proclaimed a state in June 20th. 1863. "West Virginia Day" became a legal holiday in 1927. Lowest Point: Potomac River 240 feet (Jefferson County). Highest Point: Spruce Knob, 4,861 ft. (Pendleton County). Largest City: ( Charleston ) with 32 square miles. The Mississippian Fossil Coral, Lithostrotionella, was designated West Virginia’s official state gem in 1990 and is found in Greenbrier and Pocahontas counties of West Virginia. 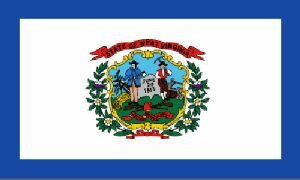 The flag of West Virginia consists of the State's coat of arms on a pure white field with a dark blue border. 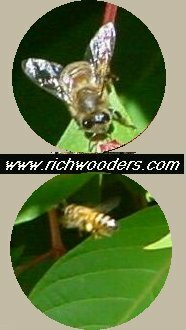 Official state insect: The Honeybee (Apis Mellifera) became West Virginia’s official state insect in 2002. 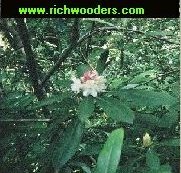 Rhododendron (Rhododendron Maximum)West Virginia official state flower. 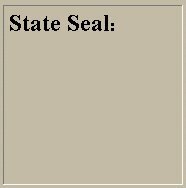 West Virginia official state Butterfly. The monarch needs no camouflage because it takes in toxins from the milkweed and is poisonous to predators. The Brook Trout, a native trout of West Virginia found in many small, cold, West Virginia streams and sometime called speckled trout. 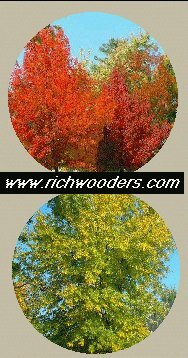 is one of the largest and more important of the hardwoods. 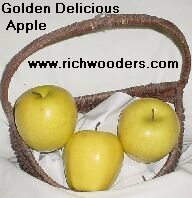 State Fruit: Golden Delicious Apple. West Virginia, is bordered by Pennsylvania and Maryland on the North, Virginia (East and South), and Kentucky and Ohio on the West. 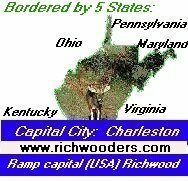 I'm a Formerly Richwooder who was born and lived my early years in Richwood WV. The town will always have a special place in my heart. Richwood WV is one of the prettiest places on earth in the fall, those mountains ablaze with color. In the 50's we used to spend our times after school sleigh riding until we were half frozen! Richwood WV was all decorated with Christmas lights and the stores were filled with shoppers. 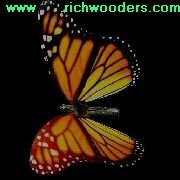 It was a wonderful and memorable time in any Richwooders life. The Town of Richwood WV, you sure raised a lot of children and they are wonderful!!!! Life is what you make it and those Richwooders from the 40's, 50's, 60's, 70's, 80's, and 90's sure knew how to live it to the fullest. I lived there for 18 years and loved every day. Always will have a special place in my heart for Richwood WV.. Its a great little town where everyone knows everyone. I wouldn't change it for anything! Not a day goes by that I don't think about Richwood W. Va. and I can't wait for the spring when the trout are biting on the Cherry and Cranberry rivers and Summit Lake. Richwood WV gave Richwooders a sense of pride where they came from and a love for family & country. Today former Richwooders are very thankful to have grown up in a town that truly knew and still knows the meaning of patriotism. This weekend, as I see the turning of the leaves, the harvest of the crops, and families enjoying nature in so many ways together, I realized that Richwood WV was the place for me. 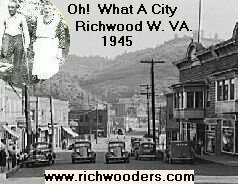 The best place to live is right here, and there is no place quite like Richwood WV with its turning of the seasons, and it's promises of something new four times a year. The greatest places are sometimes, the things that are the closest to you. Thank God for giving us the opportunity to be born in the most wonderful City in the Nation (Richwood WV ) is heaven on earth. 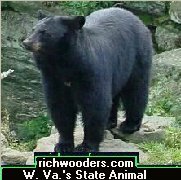 West Virginia Forest Resource Fact Sheet. Fiscal Year 2007. 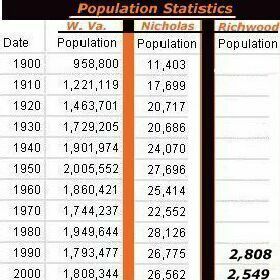 Interesting statistics about Richwood, Nicholas County, West Virginia, U.S. and World Population..